People say the same thing about Valparaiso, Chile that they do about Washington, DC. You'll either love it or hate it. I can now say I love them both. Jason, Janie, and I went to Valparaiso (or just "Valpo" for the lazy) for our first weekend in Chile. 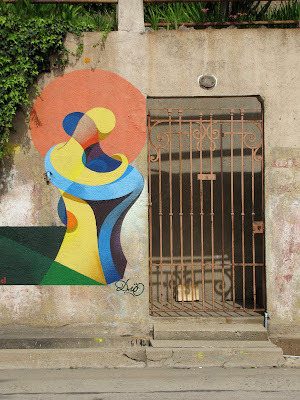 It's a port city about 1.5 hours from Santiago with steep hills, multi-colored houses, power lines strung out like spider webs, and murals and graffiti everywhere. There's not a whole lot to actually "do" in Valpo besides walk around and enjoy a pisco sour with a view of the hills or the water, but that suited me just fine. I love color, and my own place looks like a rainbow vomited. So hoofing all over the hills and seeing what funky piece of art was around the next corner was right up my alley. And like a good camera whore, I took lots and lots of pictures. 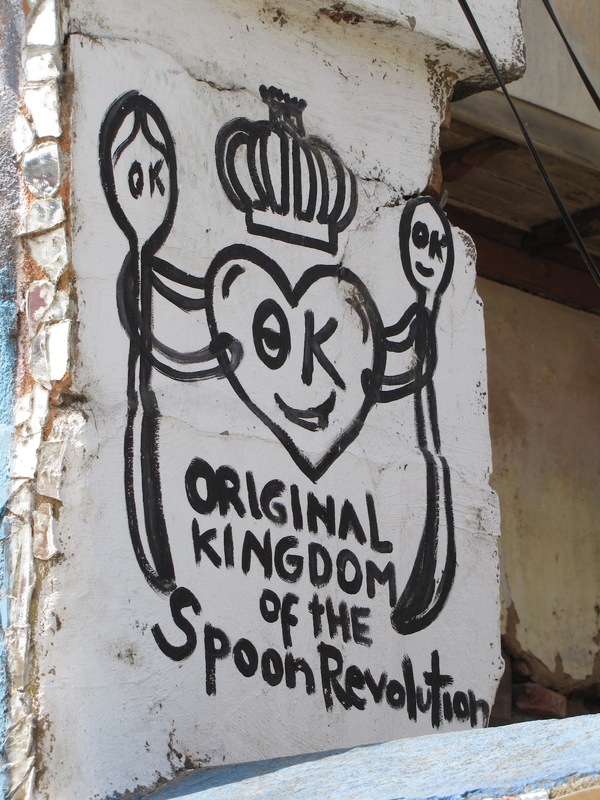 Our next trip should be to the Spoon Kingdom. I wonder if we need a visa? I dunno, but I want to join the Spoon Revolution with you guys! Well, that's 3 of us now. We can have our own spoon revolution! Or maybe we go nuts and have a fork revolution. Or a SPORK revolution. The world is our utensil-oriented oyster!